Imixs-Faces is a component library based on JSF and jQuery, which makes development of JSF font-ends together with the Imixs-Workflow engine much easier. This library contains a set of CDI beans and UI components to be used in a JSF 2.2 Web Application. 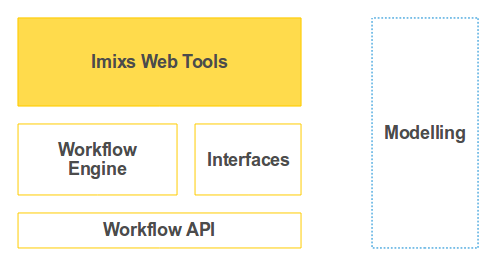 You will find more information about the Maven support of Imixs-Workflow in the section Maven. The Imixs-JSF Sample Application provides a good starting point to learn how to setup a JSF Web Application with Imixs-Workflow. Imixs-Faces provides different CDI beans to control the data flow within a JSF application. ViewController - A @ViewScoped CDI bean to control a query defintion, pagination and filtering of a data result. To interact a Document or WorkflowController the CDI Event ‘WorkflowEvent’ can be observed by a client. This simplifies the integration of custom CDI beans and controllers. Read the section controller for details. ValidationExcepiton - a custom exception type to handle Imixs-Workflow exceptions. This package contains a FileUploadController and a Servlet to handle multi-file uploads. Imixs-Faces provides UI widgets to be used in a JSF Page.